I got a very clear impression, for most travelers moving through Spain’s southern Andalusia region, that Granada was a mere footstep on the way to bustling Seville or mysterious Cordoba. Some cities are quick stops in the grand scheme of travel and while Granada itself may fall into that category, its sites and sights do not. Seeing what Granada has to show you takes time, and had it not been for Turismo Ciudad de Granada, I too may have missed some of its most intense offerings. The bittersweet story of the Moorish empire’s last stand in Spain, the Alhambra, tells a lot about the character or Granada; the last city in Spain to remain under Arab control after nearly 800 years of rule. You would think such a large tourist attraction would be hard to miss but many do because they don’t allocate the 2-4 hours required to see this UNESCO World Heritage Site and neglect to purchase tickets in advance. The easiest way (that doesn’t require you standing in line at 7am) is to purchase tickets online from ServiCaixa at least 1 day in advance. The tickets cost about 15 Euro (there are student and elderly discounts) to one of the two sessions from either 8:30am-2pm or 2pm-6pm. 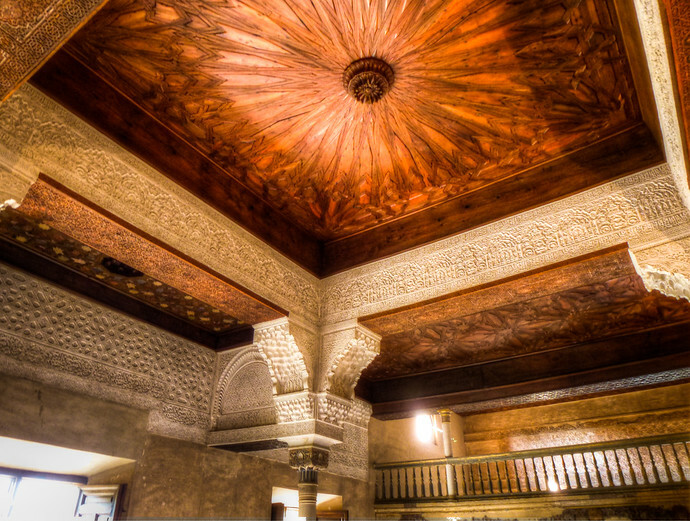 Don’t forget to schedule a time to visit the Nasrid Palaces which is included in your Alhambra ticket. The tour of the impressive palaces takes about 30 minutes and I would suggest scheduling it toward the end of your time in the Alhambra and remind you not to be late. Although it’s not the case for many things in Granada, you need to be on time for your Nasrid Palace visit. In most cases I can’t say I’d put a museum this high up on any post about a city, especially one as rich as Granada. But the Science Park Musuem (Parque de las Ciencias) in one of the most interactive, fun, and informative museums I’ve been to anywhere. A 15-20 minute local bus ride from downtown, you can easily spend an entire day looking through Tropical Butterfly House, visiting the planetarium, seeing all of Granada from the Observation Tower, or watching the Bird of Prey In Flight demonstrations. The Science Park Museum is just as much park as it is museum, making it easy to get lost, but two exhibits not to be missed are the ‘Journey Through The Human Body’ and the ‘Infinite Universes’. 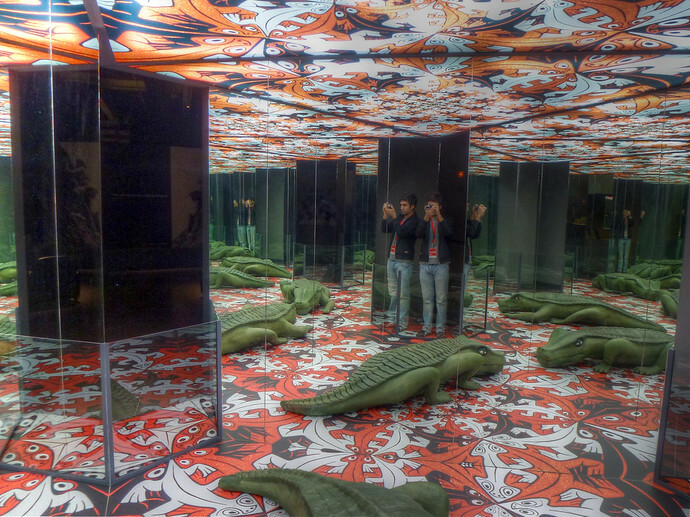 The latter of those two focusing on the art, life, and philosophy of Dutch artist M.C. Escher, who was inspired by the Alhambra on a visits to the city in 1922 and 1936. General admission is 6 Euro and gets you into all of the exhibits except the planetarium, which costs 2.50 per viewing (my pick would be the Nanocam show). 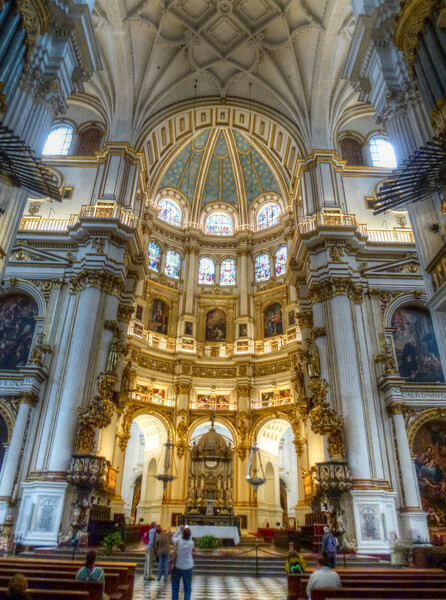 Granada is a city on church overload – there’s practically three on every corner – something my friends at Turismo Ciudad de Granada tell me was the Catholic reaction after ending 8 centuries of Arab rule. A demonstration of faith, you can use the elegantly designed interiors of the Granada Cathedral, about 3 Euros entry, to break up longer visits to the larger Granada sites. The Chruch of Santo Domingo‘s painted exterior is also worthy of your camera and retinal lenses; a sight made more endearing by the story of how it came to be. Too poor to afford large engravings or sculptures, the monks of Santo Domingo decided to use detailed paintings to recreate the illusion of a more elaborate construction. Despite it’s religious facade, most people in Granada don’t attend church services regularly and things are so slow during the day, that mass is the only time you’ll find most open. So, while entry is free, be sure to check opening times or you may find yourself waiting outside. Finally, I can’t complete a conversation about churches in Granada without mentioning the La Cartuja Monastery. Yes, it’s technically not a church, but the detail of the architecture, statues, and engravings inside stunned me. That after having seen a million other churches in Granada; so it’s well worth the 20 minute bus ride to go see it. Entry is 5 Euro or so and the only thing you’ll regret is that photos aren’t allowed. Soaking up Granada is wonderful but literally absorbing it calorie by delicious calorie is even better. Why not enjoy so much of Spain that you can take a kilo or two of it back home with you? Well, one of my favorite places to eat turned out to be one with a misleading face. Both of the two La Cueva in central Granada look like expensive, tourist-trap, disappointments-waiting-to-happen as you walk by them. After a long day of sightseeing I popped in one and discovered it serves fairly authentic, high quality food and wine, for very reasonable prices. Meat eaters should visit around 3pm for the ‘plato alpujarreno‘ – enough protein to last another Moorish empire and vegetarians can enjoy a variety of fermented grapes, salads, and meatless soups. Now that we’re talking food, beer lovers will fall in love with the fact that bars in Granada serve a complimentary tapa with every drink. Beer and amazing Spanish appetizers are heavenly and Rojo Bar has a modern fusion take on local favorites. Monasterio Chill Out, located on the 5th floor of a hotel, has wonderful views of the San Jeronimo Monastery and for seafood with your beer, swing by Bar La Blanca Paloma. If you’re not too full by now let’s head over to former Moorish town of the Albaicin; that UNESCO World Heritage Site I mentioned earlier. The Albaicin is an intense few hours of up and downhill walking so along the way you can get caffeinated at Abaco. That cafe which offers the view the gentleman in the top photo is enjoying. Now that you know about it you can too – with coffee in hand. Like the Alhambra, the Albaicin is not a single site but rather an entire area. It will take a few hours to wander around the steep steps that narrowly wind through the mostly residential area. There are spectacular views of the Granada and the cave museums, Museo Cuevas del Sacromonte, gives you a glimpse into local Romani (“gypsy”) life and art. It’s best to bring a map as it’s easy to get lost and start early in the day to find the churches of San Nicolas and San Salvador. When you’re not feeling particularly athletic, you can also arrange for a Segway tour of the Albaicin from Plaza Nueva. When you’re spending your time in Granada and doing any more than 2 days of sightseeing, you’ll be able to cut your costs effectively by picking up a Granada Card. Starting at 25 Euros for a 3 day pass or 30 for 5, the Granada Card (Bono Turistico Granada) will give you access to nearly all of the sights mentioned above, including the Alhambra. In addition the card gives you 5 (or 9) free trips on the local bus, lets you skip entry lines, and gives you 30% off a number of guided tours. You can swing by the Turismo Ciudad de Granada – say hi for me if you do – to pick up a Granada Card and chat with those fun folks about all things Granada. They’re a wealth of information as are their Facebook and Twitter pages. 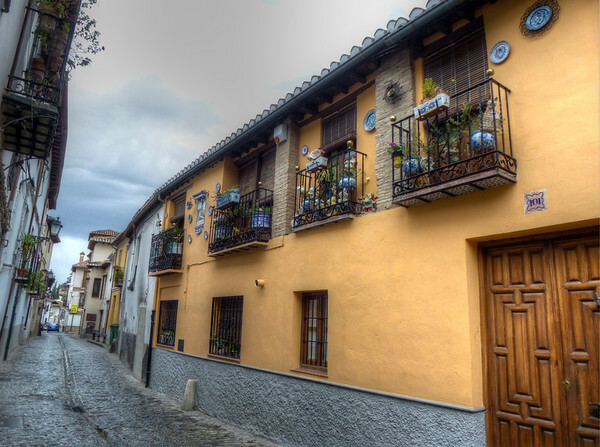 Now that you’re started you may find yourself wandering around the old Jewish quarter Realejo. 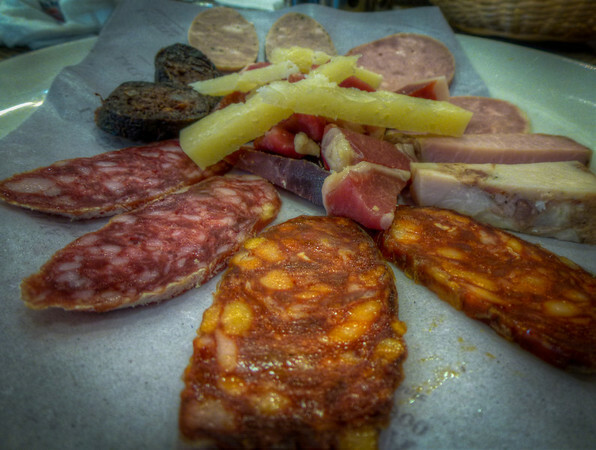 Perhaps even creating your own tapas after stopping by the Mercado de San Augustin, for a stays longer than 4 days. What amazing photographs!!!! The entire post was excellent. You said it wonderfully, Granada does have a special ambiance that comes together so nicely from those varied influences and features. We have only visited Seville but would love to go back to Andalucia and explore some more. Granada would definitely be on the list. 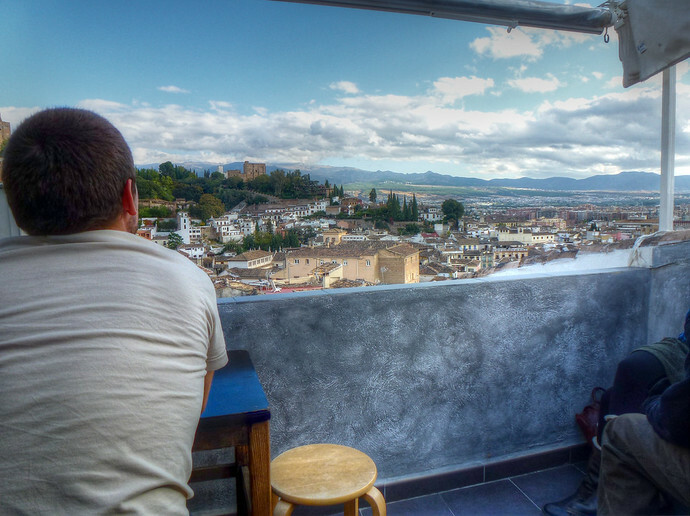 Though I live in Barcelona, Granada is a favorite for me in Spain. Gorgeous!